Balzer + Bray, 9780061853289, 416pp. 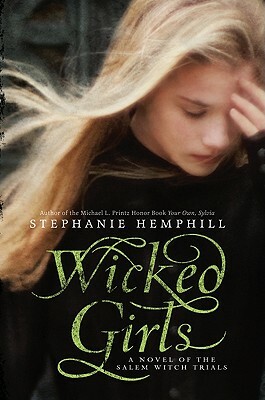 From the acclaimed Printz Honor winner author Stephanie Hemphill comes this powerful fictionalized account of the Salem witch trials from the point of view of three of the real young women living in Salem in 1692. Ann Putnam Jr. is the queen bee. When her father suggests a spate of illnesses in the village is the result of witchcraft, she puts in motion a chain of events that will change Salem forever. Mercy Lewis is the beautiful servant in Ann's house who inspires adulation in some and envy in others. With her troubled past, she seizes her only chance at safety. Margaret Walcott, Ann's cousin, is desperately in love. She is torn between staying loyal to her friends and pursuing a life with her betrothed. With new accusations mounting against the men and women of the community, the girls will have to decide: Is it too late to tell the truth? Stephanie Hemphill is the award-winning author of Hideous Love: The Story of the Girl Who Wrote Frankenstein; Wicked Girls: A Novel of the Salem Witch Trials, a Los Angeles Times Book Prize finalist; Your Own, Sylvia: A Verse Portrait of Sylvia Plath, a Michael L. Printz Honor Book; Sisters of Glass; and Things Left Unsaid: A Novel in Poems. She lives in Chicago, Illinois.